02. How Emailio Email Builder Works? 03. How to import Emailio email template in campaign monitor? 04. 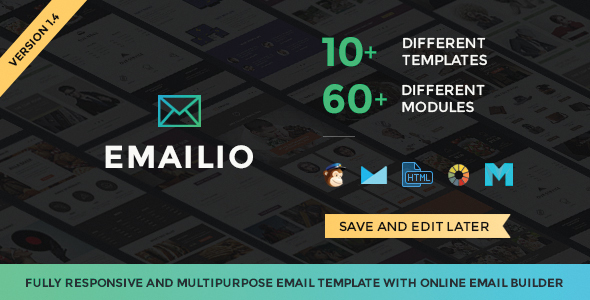 How to import Emailio email template in MailChimp? 05. How to increase visibility of email template length in Gmail app before it cut? Gmail web and app normally cut email if your email size is approx. 102 KB or more and there are major chances of your email template get cut because of responsive structure code and your content in the template. But you can minify your email template HTML code (Body start to end) here: http://www.willpeavy.com/minifier/ and use output code in your template. We cannot say your full template will be visible but this will surely increase your template visible length in Gmail App.If your email content itself is more then please try to reduce content or any not required CSS/HTML.